This page provides information about the National Personal Training Institute as required by the Higher Education Opportunity Act of 2008. Please contact Patrick at [email protected] for additional information. 1) Submit your Free Application for Federal Student Aid (FAFSA) to the United States Department of Education at https://fafsa.ed.gov/. It is recommended that students use the IRS Data Retrieval Tool when completing their FAFSA. 2) Enroll in our school, including payment of the $50.00 enrollment fee. Enrolling may be done here. 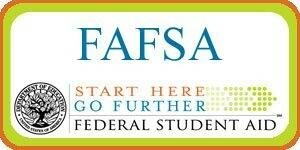 A student may submit a FAFSA at any time. However, financial aid will only be processed for students who have submitted to us their enrollment form and paid the $50.00 enrollment fee. 3) After submitting your FAFSA, you will then receive a Student Aid Report (SAR) from the Department of Education summarizing the information contained in your FAFSA. Please note that aid amounts provided on your SAR are estimates only and will differ from what you may actually be eligible to receive. Our financial aid department is also provided the information you submitted on your FAFSA via the Institutional Student Information Record (ISIR). The data contained on the ISIR allows us to determine your eligibility and prepare your financial aid award package if you qualify. 4) Once your financial aid award package has been established, you will receive an award letter which identifies the types and amounts of federal financial aid you are eligible to receive. Please note that it will take several weeks from the time you submit your FAFSA, enroll in our school and pay the $75.00 enrollment fee until you receive your award letter. Upon receiving your award letter, you will need to accept or decline part or all of your aid and return a signed copy of the letter. Specific directions will be included in your award letter. 5) Upon accepting your aid you may then need to complete a few additional tasks, such as signing your Master Promissory Note, completing Financial Aid Loan Entrance Counseling or completing or endorsing a Direct Plus Loan. Specific directions will be included in your award letter. Additional information about financial aid may be found at http://studentaid.ed.gov/.